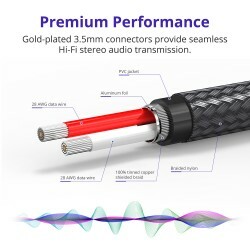 Gold-plated 3.5mm connectors provide seamless Hi-Fi stereo audio transmission. Step-down design allows it to support all your compatible devices via 3.5mm audio port without removing the case. 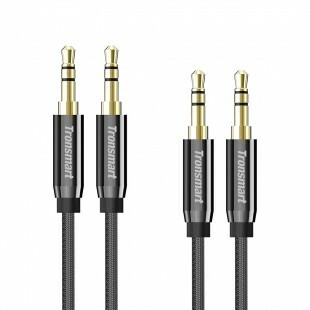 This 3.5mm stereo cable is compatible with any brand MP3 player, phone, tablet, etc. that has a 3.5mm audio jack (aux port). Beats and other brands of headphone, Hi-Fi stereo sound systems, car stereos, radios, portable Bluetooth speakers, such as Tronsmart Element T6, Mega, Pixie and wireless audio receivers with a 3.5mm aux port. Note: Not compatible with microphone function. 1.How to confirm whether it works with my phone case or battery case? The gray metal casing is 8.1mm Wide. But notice the gold part above the casing is 5.08mm Width x 2.55mm Depth. If your case is less than 2.55mm thickness and the stereo hole larger than 5.08 mm width, it should be OK. If thicker case than 2.55mm, you would need to have 8.1mm opening for the cable to work fine or you'll need the extension adaptor for a battery case. Hope this helps! 2.Does this work to connect Bluetooth headphones for traveling? If your headphones have a female audio jack, then yes. If you can't put the audio jack into your headphones, then no. 3.Is it suitable for my noise-canceling headphone? 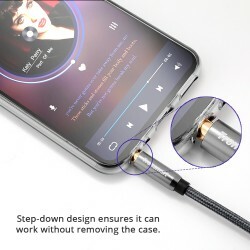 I want to connect to my phone when listening to my headphone. If your headphones use a 3.5 mm female jack, it should be fine. There are really 100% shielded with shielded copper braid and aluminum housing. Yes, it is nylon braided and so more durable. 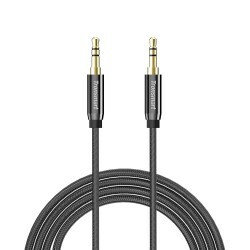 6.Using this cable for AUX in my vehicle when my phone is charging, will it result in very annoying static/feedback? I use them in my 2009 Pontiac G8 GT and have experienced no issues whatsoever. It is available for 4FT and 8FT now. 8.Is there a built-in mic? For talking? 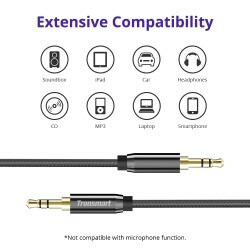 9.Can I use this cable to connect a Bose Bluetooth system to my iPod? You should be able to as long as both have auxiliary output /input. 10.Does it work with beats solo and skullcandy? 11.How long will this last? It is nylon braided and gold-plated with aluminum casing. It is super durable and will last several years. 12.Can it connect a portable CD player to Bluetooth speakers? 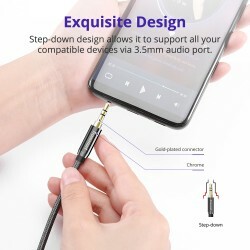 Yes, it should be fine if they both use a 3.5 mm female jack. 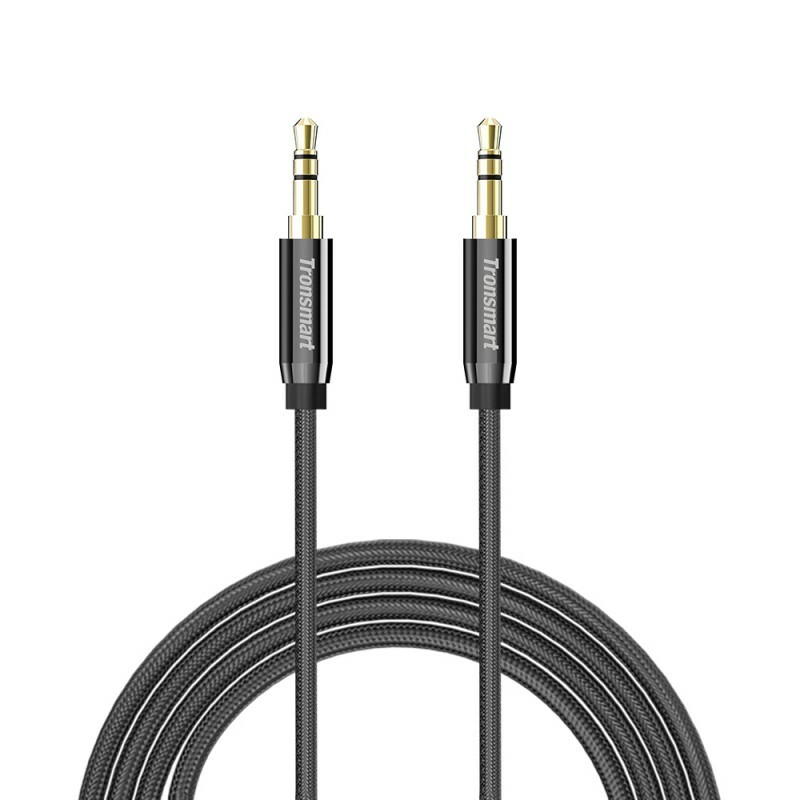 13.Is this compatible with speakers/headphone to a PC or Mac? 14.Quality any better than other headphone cables? Solid quality and well built! Premium shielded cable! 15.Will it fit iHome headphones and a classic iPod? Yes, fits anything with a standard 3.5 mm jack. 16.Will this work with a Life Proof case on iPhone? The screw in protector for the jack is small and my current cable doesn't fit all the way, no connect. It works fine on mine. The step-down jack design ensures full compatibility in use.